During class you will spend time in lectures and graduate seminars covering topics in pharmaceutical science. You will spend much of your time performing laboratory and literature research to complete your master’s thesis. 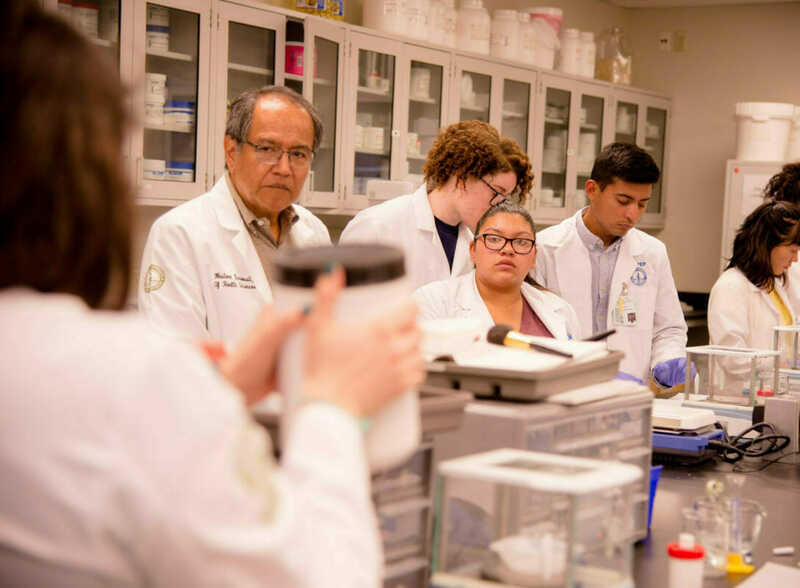 In the summer following your first year, you will have the chance to participate in a paid summer research program that helps you integrate your pharmaceutical science knowledge through hands-on work. Study time may consist of reading textbooks, reviewing class notes, and evaluating research findings. Many of our students work as either teaching or research assistants. If you are a teaching or research assistant, you will spend time grading, proctoring and teaching labs, or completing research. We offer graduate seminars and elective courses to help you build a more advanced knowledge of specific topics in pharmaceutical science. Research continues in the second year as you work to complete your master’s thesis projects and assistantships. You will continue to study for seminars and elective courses in the second year.